Best gutter guard: Which gutter guard is best for your home? 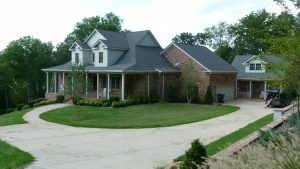 So you’re in the market for new gutter guards and you want to know which is the best gutter guard for your home, right? Depending where you are in your search — just starting or down the path — we empathize with you. If you’re not confused yet by the myriad of gutter guard options available, you soon will be. Because there are dozens upon dozens of gutter guards on the market. Some work well, and many don’t. What may work well for your friend, relative or neighbor, may not work well for you. This article will help you understand the most important considerations to drive your buying decision, regardless of type of gutter guard, cost, and any one company’s claims of selling the best gutter guard. You don’t need to look any further than your yard and the exterior of your home to determine what the best gutter guard will be for your home. If you’re planning to invite gutter guard dealers and contractors to your home to show you their offerings; before you call to set up those appointments, grab a pencil and paper and head outside. We’ll help you find your best gutter guard before you ever meet with a gutter guard contractor or visit your local home improvement store. First, walk around the entire perimeter of your home and write down the types of trees in your yard and any trees in your neighbors’ yards that blow leaves into your gutters. I understand that you may not be an arborist, so if you don’t know the names of the trees, take note of the types of leaves, seeds, needles or tassels that the trees produce. There are several types of pine and fir trees. Some produce long needles that fall throughout the year and blow from one end of your yard to the other, while others, like Blue Spruce trees, drop short, heavy needles that don’t fall too far from the tree (no pun intended). Once you have an idea of the types of trees you have in your yard, jot down or sketch the proximity of the trees to your home. The closer trees are to your house, or the taller the trees are, the more problematic they’ll be to your gutters. While you’re still looking at your trees, where do the prevailing winds come from? For instance, if trees are located on the west of your home, wind blows the leaves from the west towards your house. The intent here is to get a basic understanding of how the leaves travel from the trees to your gutters. What you may find is that certain gutters clog regularly, while other gutters are less affected. 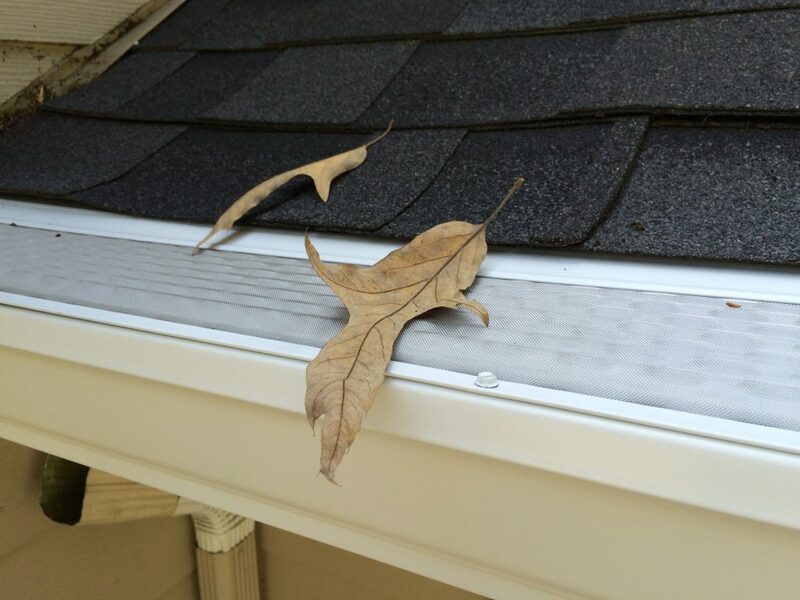 The key takeaway here is that leaves can travel an incredible distance and land on your roof and inside your gutters, so prevailing wind direction matters. Okay, now that we’ve looked at the types of trees, the types of leaves and debris they drop, how the proximity of the trees to your home and wind affects the path leaves blow, we can move on to your gutters. What size are your gutters? If you’re saying, “I have no idea,” let me help you out. If your house is more than 20 years old and the gutters are original to your house, then there’s a good chance you have 5” gutters. If your gutters have long nails, also called spikes and ferrels, odds are you have 5” gutters. If your house is big and newer, hopefully you have 6” gutters, but, sadly, this is no guarantee. If it’s easy to access your gutters and you want to check the size, grab a tape measure or ruler and measure the distance from the rear edge of the gutter to the outer edge of the front lip. It’ll either measure 5” or 6-inches. If you live in California or if you have half-round or a gutter shape other than K-style, you may find the size falls slightly larger or smaller than 5 or 6 inches. Gutter size is important as it relates to how water flows off your roof. 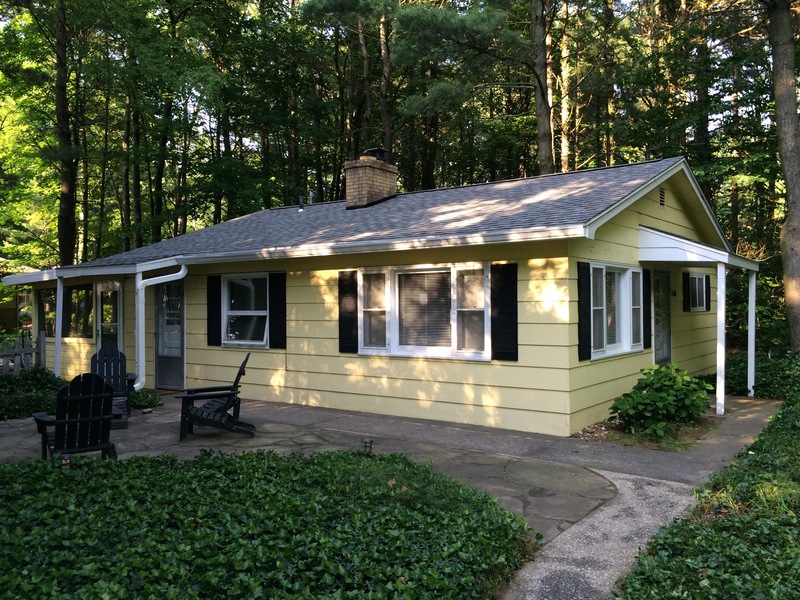 If you have a ranch house, gutters will be located across the front and back of your house or all the way around the house if you have a hip roof. If you have a larger, 2 or 3 story house, it’s not unusual for water from upper gutters to spill onto the roof and then into lower gutters. If you have multiple tiers of gutter moving water down to gutters below, take note. The amount of water flowing off your roof can easily overwhelm the gutters downstream as well as any gutter guard you’ll install. Where are you having gutter issues and what, specifically, is occurring? Are your gutters sagging or have they pulled away from your house? 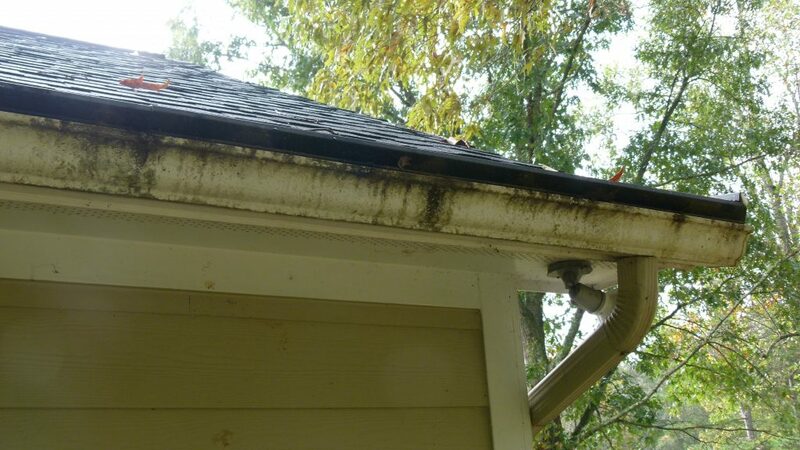 Are there spots where the gutters clog more often than other areas? Now that you’ve walked around your house and taken copious notes, head inside, grab a beverage, and get ready for Round 2. Reach out to friends, family and neighbors who have had gutter guards installed on their homes to ask them about their experiences. As you are absorbing their insights, keep in mind that they may have different trees in different locations than you do. They may have fewer or more trees. Their homes may look different than yours. Their gutters may be larger or smaller. In other words, the “environment” in which they live is different than yours, and the specific gutter guard they purchased and installed may or may not work well for you. Their best gutter guard may not be your best gutter guard or your best bet! The benefit of talking to them is finding out what worked well, what issues, if any, they’ve had, and would they recommend the contractor who installed their guards? 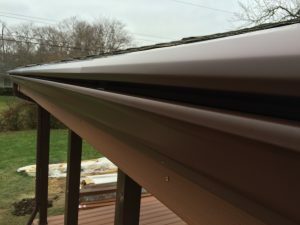 What is the best gutter guard for you? Each of these gutter guards can work well in the right environment. If anyone tells you that one is vastly superior or another is vastly inferior, all the investigating work that you did is going to help you determine fact from fiction. Generally having a flat or slightly wavy surface, these panels are made from roll-formed aluminum and have hundreds of small holes across the panel surface. The size of holes vary by brand. Popular brands include Gutter Rx, Shur Flo, and Leaf Relief. The panels are 3’-10 feet long. They are designed to install within the gutter, so they don’t interfere with the roof shingles, and the panels sit relatively flat in the gutter. Depending on the system, the guards secure to the front lip of the gutter with sheet metal screws and may rest freely or screw into the fascia board at the rear edge of the gutter. These gutter guards are very popular because they are available at most gutter and roofing supply wholesalers; they are cost effective to install, and they can work well in the right conditions. If you have trees or large shrubs against or near your house; pine or fir trees that shed needles that travel to your gutters; oak trees that drop oodles of tassels each spring; or trees that shed small twigs onto your roof and into your gutters, you’ll want to avoid perforated gutter guards. On the other hand, if any of these trees are a reasonable distance from your house — say on the lot line or in a neighbor’s yard — and the leaves are large enough not to fit in the holes, these can be an excellent choice. Bottom line: Perforated gutter guard panels are best suited for homes where trees are not overhanging the house or where you receive a “blow over” effect from leaves on nearby trees. In terms of water flow, our experience has shown that Gutter Rx performs much better than Leaf Relief because the holes are larger, allowing more water to flow through into the gutters. The granddaddy of the professionally installed gutter guard systems, solid gutter covers, have been a staple on homes throughout the U.S. and Canada for decades. Popular brands include Gutter Helmet, LeafGuard, and LeaFree. The first patent on a solid gutter cover was in 1908, more than 100 years ago, so the technology is old and has changed little since it’s introduction at the turn of the 20th century. These gutter guards are not the cure-all that they claim to be, in my opinion. 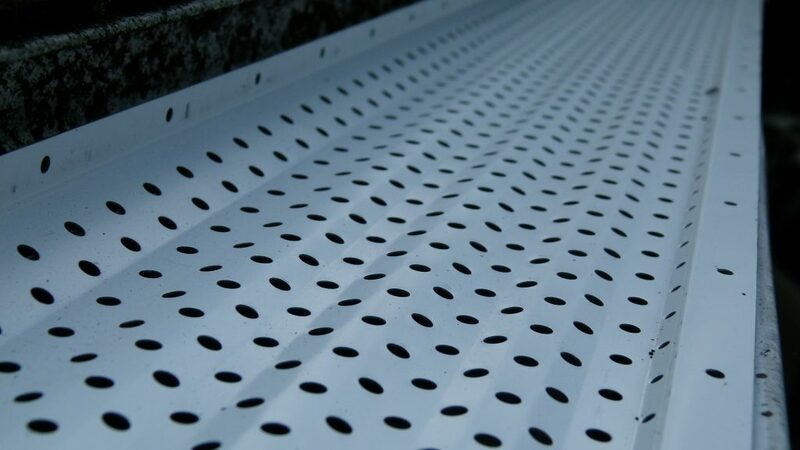 Similar to perforated gutter guards, they tend to work best when trees are not overhanging the house. Solid, reverse curve gutter covers have a narrow, horizontal opening into the gutter, so any tree that generates small seeds, tassels, needles and flowers can cause these guards problems. Oak trees are the #1 enemy of solid gutter covers. When oak tassels attach to water flowing off the roof, the tassels will attempt to enter into the gutters, often clogging the opening across the front of the gutter guard. If the opening is clogged, water cannot get inside the gutter, and it will overflow the gutter. Pine needles have a similar effect on solid covers. If not clogging the opening, pine needles can build up inside the gutter, causing clogs at the downspout opening. Additionally, if anyone rests a ladder against this style of gutter guard, it’s not uncommon for the guards to press downwards, closing the gap between the guard and the gutter. This can lead to debris getting stuck in the smaller gap or, worse, a closed gap prevents water from entering the gutter ever again in that area. If you have a multistory house with gutters responsible for moving water from upper roof surfaces to lower gutters, heavy water flow can overwhelm the gutter guards, causing overflow issues. From the brands mentioned above, if you install Gutter Helmet or a similar system, it installs under the 2nd course of shingles, so if/when you replace your roof shingles, you’ll have to pay to remove your gutter guards and pay to have them reinstalled. If your roofer offers to do this for you, proceed with caution because odds are they don’t really know how to properly handle this task, and they can render the guards useless if not reinstalled properly. So I haven’t said much good about solid gutter covers, but it’s not all bad. 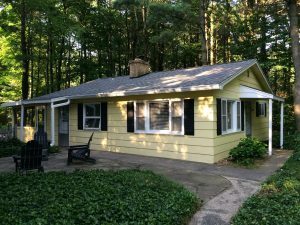 Bottom line: These systems work best with a simple roof and gutter design, with trees that are some distance from the house, and you mostly get a “blow-over effect” with leaves that are larger and, therefore, less likely to clog the opening into the gutter. The latest entrant into the gutter guard space, the first micromesh gutter guards were introduced around 2001. Brands include MicroScreen, LeafFilter, LeafSolution, Rhino, GutterGlove Pro, Mastershield, GutterDome, and several DIY versions available at big box stores and online. Microscreen gutter guards consist of an aluminum or PVC framework with a very fine stainless steel micromesh screen that spans the gutter opening. The concept is that the screen is so fine that it will keep out all leaves, oak tassels, pine needles, and shingle granules, while allowing water into your gutters. Micromesh gutter guards completely encapsulate the gutters, so they tend to be the most well-rounded gutter protection systems on the market today. Contrary to the belief that the small openings in the screen will restrict water flow, we have found these systems to handle large volumes of water with few drawbacks. Bottom line: We would not recommend the PVC version, LeafFilter, even though it was the original micromesh gutter guard that received high ratings from Consumer Reports in 2010. Due to the fact that LeafFilter’s PVC framework will expand from heat and contract from cold, it is the most likely system to underperform over the long run. All the other systems are made with aluminum frames, and while each has design pros and cons, any one may be your best gutter guard choice. Now that you have an understanding of what variables help determine the best gutter guard, reach out to contractors in your area who specialize in installing gutter guards. If your gutters are not functioning properly, we suggest you have your gutters repaired or replaced before installing gutter guards. We recommend having one company do both jobs because they understand the correlation between installing both systems properly. If a gutter guard sales rep downplays your gutter issues, be sure to contact a reputable gutter contractor; get that issue behind you, and then install the guards from your preferred provider. HomeAdvisor is an excellent, free source to locate local gutter and gutter guard contractors. Click here, to locate gutter and gutter guard pros near you. Let us know how your buying experience works out. Feel free to ask questions in the comments section below, and we’ll be sure to reply. If you have already had gutter guards installed, what do you love or hate about your guards? What brand was your best gutter guard, and would you make the same choice again? Next story What gives good gutter guards a bad name?